How do I prevent the cost of shipping from showing on the packing slip? If one or more of your resellers charges customers a different shipping fee, you may want to prevent the packing slip from displaying the shipping cost. 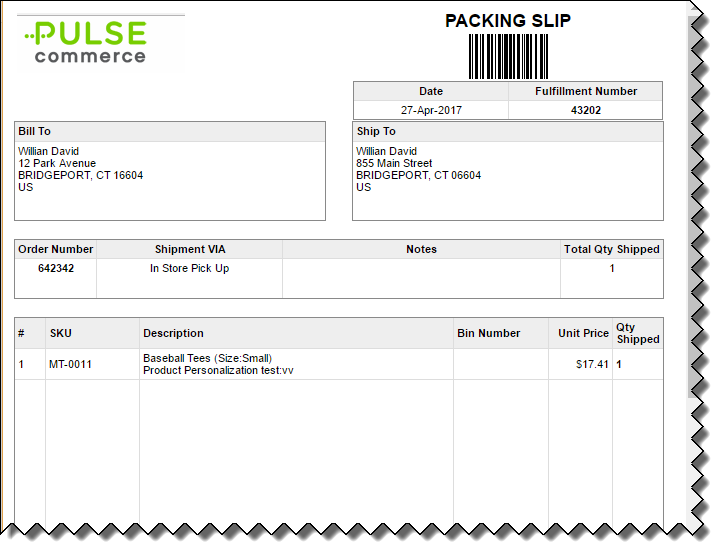 Pulse Commerce's Simple Packing Slip does not include shipping cost details. Go to Sales Order > Packed and select the Order for Print option Packing Slip (simple). Check the box for each site you want to print the Packing Slips for. Click Go. This opens up a pop-up which displays the a packing slip that does not contain the shipping costs. Go to Sales Order > View Sales Order. At the top of the page, select Packing Slip (Simple) from the Print & Email Options menu. This displays the packing slip which does not contain the shipping costs. Click Print to print the packing slip.